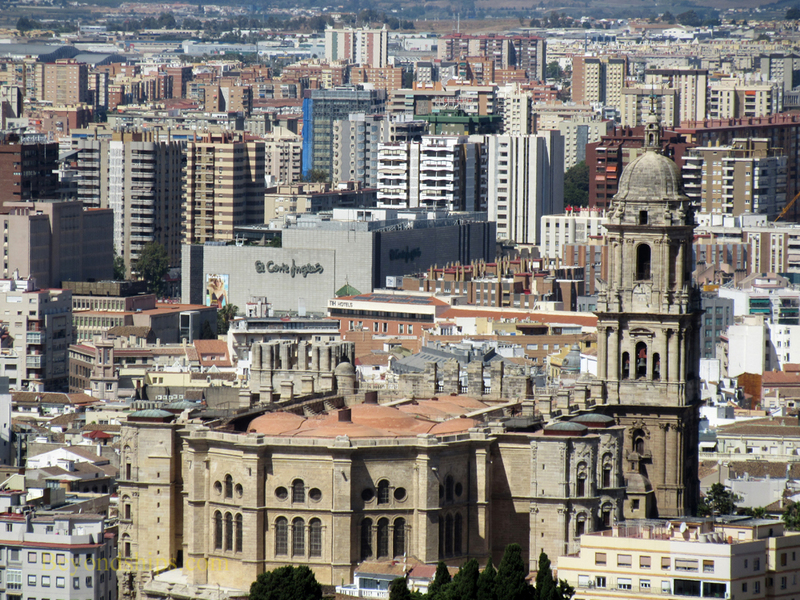 Malaga's cathedral (Catedral de la Encarnación de Málaga) towers over the surrounding buildings. It was begun in the 16th century and is still unfinished. Since only one of its towers has been completed, the cathedral is known to locals as the "One-armed lady." It is built on the site where the city's main mosque stood during the eight centuries of Moorish rule. Among its attractions are: 17th-century carved choir stalls, paintings and 103 individually-carved saints. The Bishop's Palace adjoins the Cathedral. 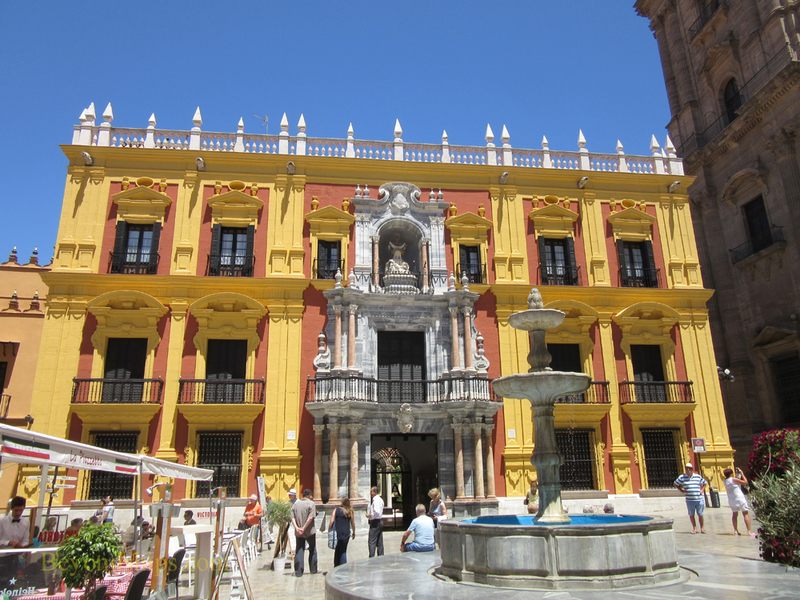 Built between the 16th and 18th centuries, the palace has a colorful late Baroque facade. Inside, there are courtyards, reception halls and a grand staircase. Part of the palace is still used as the bishop's residence and part is still offices. However, some of the rooms are used for contemporary art exhibitions and part of the palace is the diocese's museum featuring religious works. Above: The elaborate doorway of the Church of the Tabernacle. Malaga also has many smaller churches. Some of the better known churches in the Old Town are discussed below. Located near the Cathedral, Iglesia de Santa Maria de Sagrario (Church of the Tabernacle) was started in 1487 but construction continued to the 18th century. Done in the Moorish Gothic style, this small church is known for its relatively recent (1944) altarpiece by Juan de Balmaseda. Pablo Picasso was christened here. 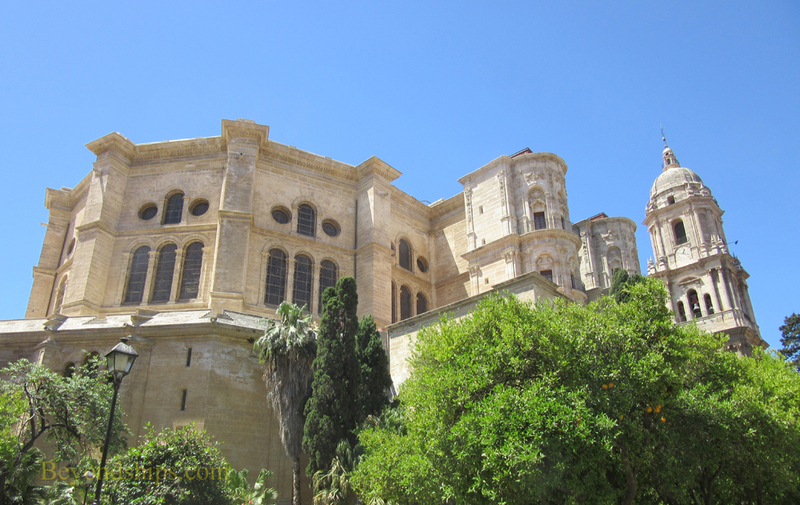 Near the Picasso Museum is the Convento de San Agustin (St. Augustine Convent). Built in the 16th century, it includes a church, a school and a monastery. Iglesia de Santiago Apostil (St. James Church) is the oldest church in Malaga. Built on the site of a former mosque, the church was established in 1490 but was altered over the centuries. It has a Baroque interior. Pablo Picasso was baptized here.